Posted July 29, 2015 by William Martin & filed under Headlines. Doctor Who star Peter Capaldi has revealed that fans could see the events surrounding his first appearance in the show revisited. The Twelfth Doctor was first seen briefly in 2013’s 50th anniversary special, ‘The Day of the Doctor’, joining the other Doctors to help save Gallifrey and end the Time War. With rumours going around that Season 9’s finale will see Jenna Coleman depart Doctor Who, could the Doctor find himself forced to choose between saving Clara or saving Gallifrey? Michelle Gomez has also hinted that it is not a coincidence that Missy made her debut in ‘Deep Breath’ on a location previously used in ‘The Girl Who Waited’. > Buy Season 8 on DVD on Amazon. > Buy Season 8 on Blu-ray on Amazon. Season 9 has been filming in Cardiff since January and will begin on BBC One on Saturday 19 September. Why does it need revisiting? I don’t see anyone going back and editing the scene into the tenures of Doctors 1-8&9 so why does Doctor 12 need it? I hope there’s a good enough reason for it. Maybe the return of Gallifrey is coming this year? In past multiple doctor stories have not had the luxury of an upcoming doctor guest starring. The past doctors episodes being done, they couldn’t show how events connected in their lives. 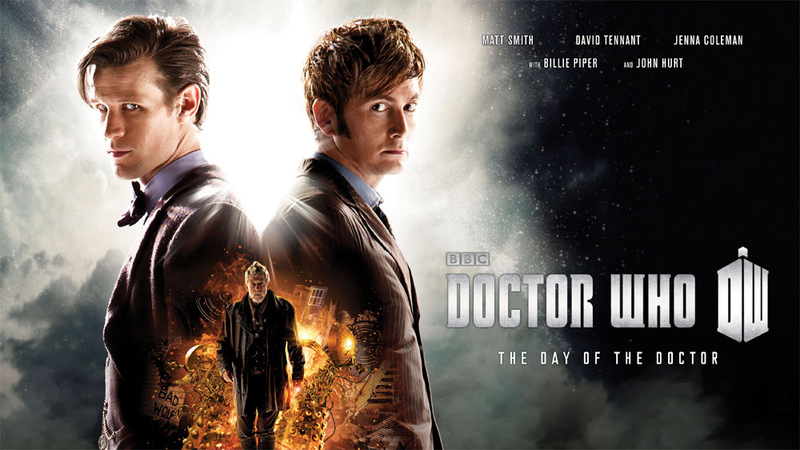 The twelfth doctors appearance in day of was a future event, one very important in his lives. Important enough we should see it happen from his perspective. Otherwise it will feel odd he took part in such a crucial event off screen (from the perspective of his journey in that twelfth personal). From a time perspective, it needs revisiting because this already is in the timeline, he’s supposed to go back and stick to the chain of events. From a storytelling perspective, it doesn’t need a good reason, why would it? He’s the current Doctor and the writers can explore that…why is he the only future Doctor going to the past? “Spoilers sweetie” (thank you River), but on the other hand, the writers never fully explained why other Doctors joined in the past, usually they were forced by external forces, and maybe the 12th is forced by time itself or there might be other reasons behind it’s appearence… the pieces always join together somehow. Why would we need to see where it fits? It’s not like the BBC have now gone and created a short film for each Doctor explicitly stating where each Doctor helped in their timeline. But rumours once again of Clara leaving? I don’t have any hope now, I’ll just see what happens and will only believe it when the following season starts. Agree. Clara is by a mile the best companion we have had in new Who and only Sarah-Jane comes close. She’s also the most important as she has saved each of the previous doctors as part of the time splinter, persuaded the Time Lords to give the doctor further regenerations and helped save Gallifrey. Plus she’s not the doctor’s girlfriend for a change and she’s resourceful and stands up to the doctor and almost as smart as he is some times. It will be a sad day when she leaves but Moffat has shown with Amy and Rory (and River) and Clara that he’s great at creating companions and travellers in the TARDIS who complement the relevant doctors. As much as I hope Jenna changes her mind again, she’s clearly got a massive future ahead of her as an actor and she is already being offered roles outside Who. I think The Doctor will end up in that moment with all the other Doctors because he couldn’t find Gallifrey when it was gone. So, he travels back to when it still existed in the main universe and let himself get trapped on Gallifrey while 1 – 11 freeze it in time. I personally think it’s a great idea to see how 12 came to be there that day. As we are now exploring 12’s personal timeline, it makes sense that the writers pick up this thread, particularly if we are going to be getting closer to Gallifrey or if this is part of the amazing episode 11 cliff-hanger. We also seem to be having some kind of time schism theme going on this year so maybe 12’s appearance will relate to that as well. Moffat doesn”t just thrown in these threads for fun. He’s clearly got something planned to explain it all and I look forward to seeing how clever he’s been in threading it all together. It won’t diminish Day of the Doctor or undermine it because it’s stuff that’s happened off screen. We should just be thankful that Moffat was able to fix up some of the terrible decisions he got dumped with when Davies left, including killing off the Time Lords and burning Gallifrey. Moffat has spent a fair bit of time repairing these mistakes and the show is much better for it. Not as the 12th Doctor but as a different character. Though apparently there’s an explanation coming in series nine that RTD came up with.